The Contemporaries were charted in 1972. The club is a member of the Liberty District. The club was formed as a Junior past presidents’ club but changed membership requirements to be more inclusive in recent years. Members come from Arlington, Belleville, Clifton, Lyndhurst, Nutley, Rutherford, North Arlington, Garfield, and Parsippany. 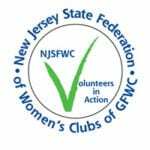 Throughout the years the club has participated in NJSFWC activities and projects always making a difference in their state and communities. Club meetings are held the third Wednesday at 6:30 pm in members’ homes from September to June. New members are always welcome. For information contact Barbara Spillane, President, at baspill@aol.com or 201.207.4524 or Joan Murdock, Membership Chairman, at jnam39@optimum.net.